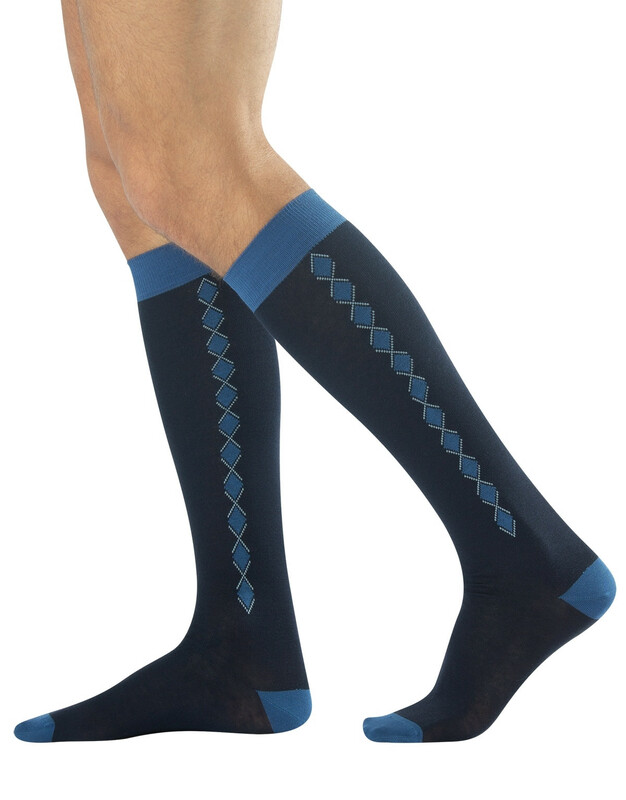 Knee-high men socks made of warm rich cotton with high-quality yarns and refined materials. Heel, toe and elastic band have the same colour and stand out on a dark background, so as the little argyle pattern on the leg side. Long men original socks which suit the most formal outfit, but also a pair of jeans or trousers.